In the first panel, Zeynep Gülru Göker from Sabanci University and Aslı Polatdemir from the University of Bremen presented the results of their research titled “Mechanisms of Gender Equality in Higher Education Institutions in Turkey.” The second panel focused on “Gender Equality in Higher Education: General Policies” and it featured presentations by Yıldız Ecevit (Middle East Technical University), Elif Ekin Akşit and Olcay Karacan (Ankara University). ÖzÜ PLOTINA Team presented their gender audit, Gender Equality Plan and its implementation process in the third panel titled “Institutionalizing Gender Equality: EU Projects and Action Plans.” This panel also featured presentations by representatives from similar international projects carrying out gender equality action plans at Hacettepe University, Middle East Technical University and Kadir Has University. The last panel was titled “Sexism in Universities and Struggle Against Sexual Harassment: Types and Examples of Solidarity.” In this panel, speakers presented the sexual harassment and gender-based violence prevention policies they implemented at Muğla Sıtkı Koçman University, Nevşehir Hacı Bektaş Veli University, Van Yüzüncü Yıl Üniversity and Sabancı University. 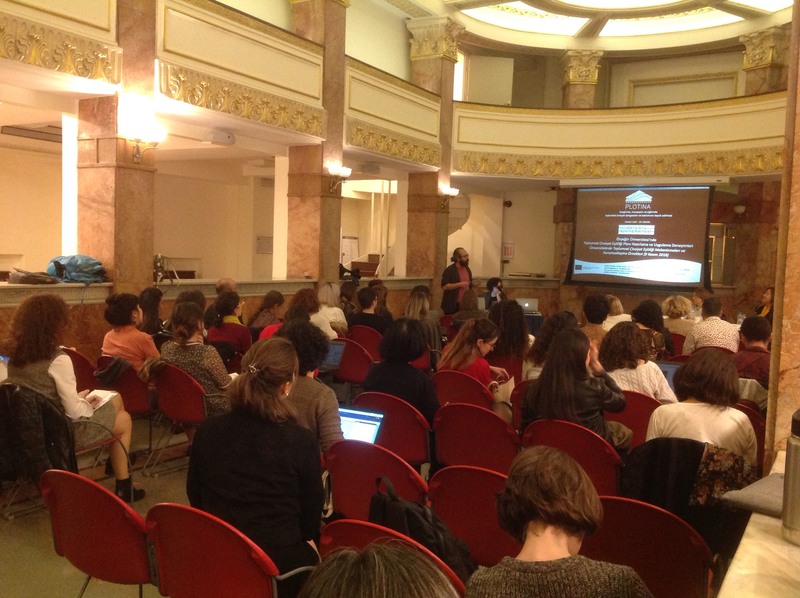 The day-long conference closed with an Open Session in which participants discussed the requirements and proposals for effecting gender equality in higher education.